Its not often we get trips in January but today was a great catch and release. The weather was great and Red Snapper will eat crawfish. I grew up fishing out of Orange Beach, with all of my spare time being spent on the docks of Sportsman's Marina catching Flounder, White Trout, and Croaker. My hobby later turned into a career, after I spent time charter fishing with some of the greatest captains in the area. I now own and operate the Riptide, a 45' Resmondo that specializes in big fish and family fun!! We are catching triggers and beeliners. 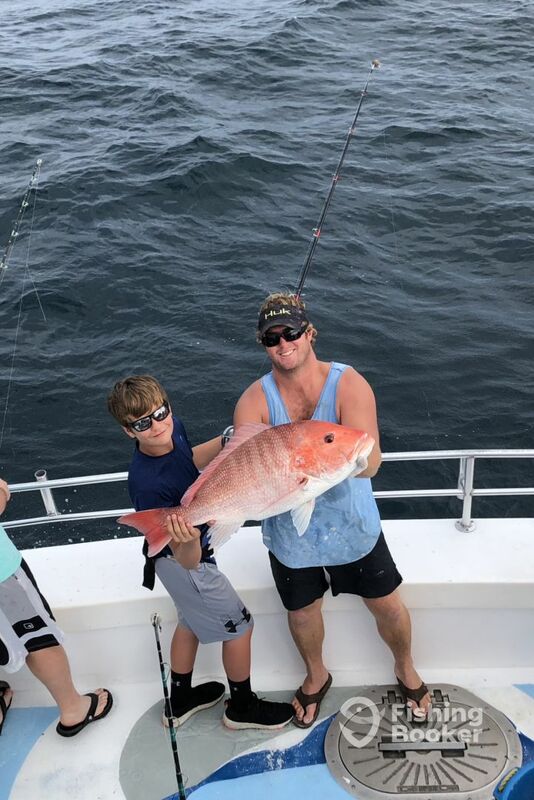 Fishing has been great in Orange Beach and so has the weather. The Riptide is ready to go!